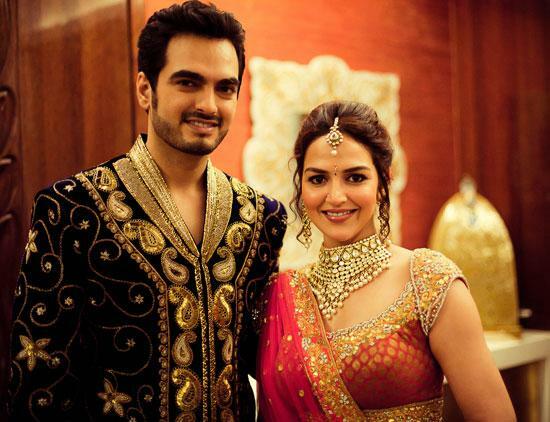 Dream Girl Hema Malini and HIMAN Dharmendra's daughter Esha Deol Engaged with her Lover Bharat Thkatani on 12 Feb 2012. On 29 June : They will married in South Indian Style in Temple. On 30 June : one day after marriage there will be Reception who covers atleast thousands people. 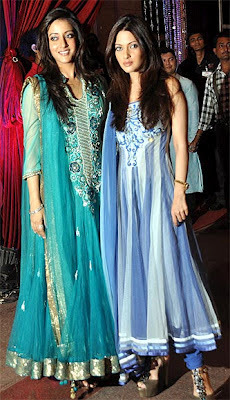 Mom Hema Malini and Sister Ahana Deol were looking Very happy in Music Ceremony of Esha Deol. "I am madly love with him, I can't take my eyes off him." Esha said about Bharat. 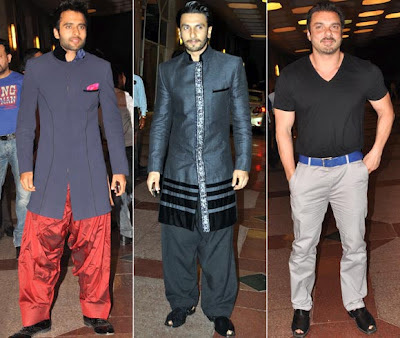 In their Music Ceremony (Sangeet Ceremony) many Bollywood and television stars joined on that night. 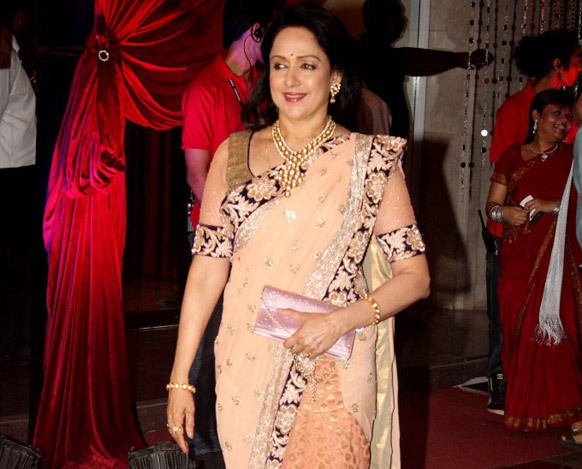 Hema Malini Starts Esha Deol's marriage preparation one month ago. She was very happy after so many time there was a marriage function in their home. Dharmendra was out side of India but he will come very soon and help in wedding preparation. Esha Deol and Bharat will marry in Temple because Hema malini said that temple is a best place for Marriage. and marriage is a private celebration for their family so only close friend and relatives are attend the marriage function.